Yahoo Finance — Whole Foods (WFM) reported a beat in earnings in its highly anticipated second-quarter report after the close Wednesday. The grocery chain reported earnings per share of $0.37 on revenue of $3.7 billion, which were both in line with estimates. Comparable store sales were down 2.8%, which was the seventh straight quarter of declines. However, it was better than the 3.1% decline expected by analysts. The company also boosted its dividend by 29% and authorized a new $1.25 billion share buyback program. Co-founder and CEO John Mackey, who has been pressured by activist investors to respond to lackluster results, highlighted his new strategic vision. Shares were up about 2% in after-hours trading. Mackey said the company is on its way to returning to positive comparable store sales and earnings growth next year. Before the earnings announcement was released, the company announced the appointment of five new independent directors and new board leadership in an effort to show it is open to change. The company also announced a new CFO, Keith Manbeck. After hitting a high of $65 in October 2013, Whole Foods was cut by more than half at the end of last year, bottoming at just under $28 per share. The stock has risen into the second quarter, particularly on speculation for a takeover and pressure from activist investor Jana Partners. In mid-April, activist investors Jana Partners revealed it had built a 9% stake in the company and raised the possibility of a sale. Mutual-fund giant Neuberger Berman, which owns almost a 3% stake in the company, has also pressed the company for a sale. And Whole Foods reportedly hired Evercore as an advisor to review business operations and also explore a potential sale, according to the Financial Times. Analysts responded positively to the company’s more robust plan. RBC’s William Kirk discussed his bullishness on the stock. “We believe increasing spending (with experts) is the only way to combat competitive headwinds,” he wrote. Results have been lackluster of late despite efforts to offer more competitive prices, slow unit growth and focus on more data-driven decisions. The company provided an update on strategic initiatives. This includes accelerating its “Affinity” rollout to all US stores by the end of this year, including the company’s My 365 Rewards program which has driven more traffic and bigger baskets. The company will also be restructuring its purchasing program by the end of this year and implementing category management across all US stores by the end of next year. For 2020, the company expects to achieve sales over $18 billion with comparable store sales growth greater than 2.0% and EBITDA margins over 9.5%. 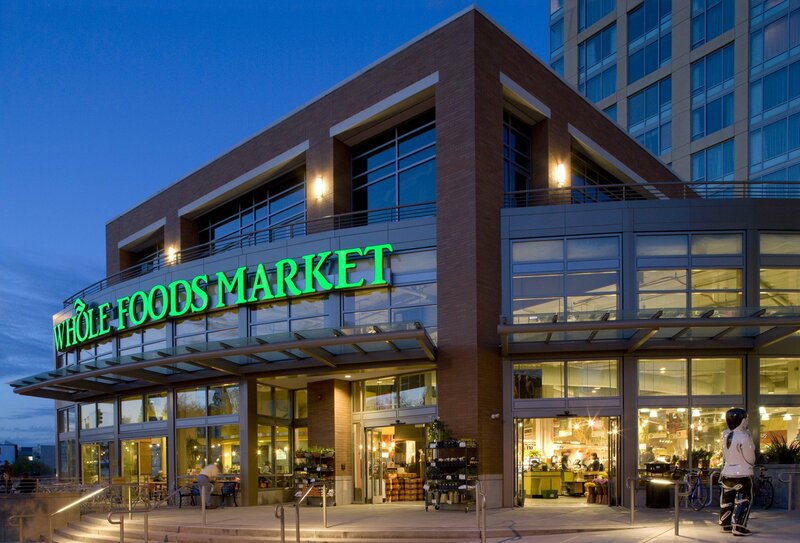 Whole Foods also expects to see $300 million in additional cost savings by the end of 2020. The company said in its previous quarterly report that it has abandoned its initial vision to reach 1,200 stores from its current level at 460, and has been slowing development. (Though the company did open a new flagship store in Bryant Park in January, launching the next level of prepared food offerings). The company has also debuted its ‘365 by Whole Foods’ store concept, a smaller-store format that is focused on value pricing. The company rolled out its first location in the spring of 2015 and currently has four openings. Investors will be looking for updates on the progress of the 365 stores. Whole Foods, a pioneer in organic food sales, has in many ways become a victim of its own success as others in the space have beefed up their offerings. Online alternatives from the likes of Amazon (AMZN) have become more popular, not to mention increased selection at convenience stores like Walgreens (WBA), popularity of membership based warehouses like Costco (COST), and big box food pushes at the likes Walmart (WMT) and Target (TGT) which have also been focusing on online initiatives. Traditional grocers are also feeling the pain. Kroger (KR), which has been considered a premier executor and has also increased their health offerings, is down 16% in the last year. Supervalu (SVU) is down over 50% in the last two years. Cerberus Capital‘s Albertsons, which acquired Safeway for $9 billion in 2015, shelved its plan for an IPO soon thereafter amid market jitters. Natural foods companies have been particularly hurt. Grocery chain Fairway filed for bankruptcy last spring after just three years as a public company. Sprouts Farmers Market (SFM) is down 65% from its $49 high following its much-hyped public debut in 2013 to just over $17 today. Natural Grocers (NVGC), which went public in 2012, has fallen from its highs in March 2014 of $44 just following its IPO to its current price of $10. 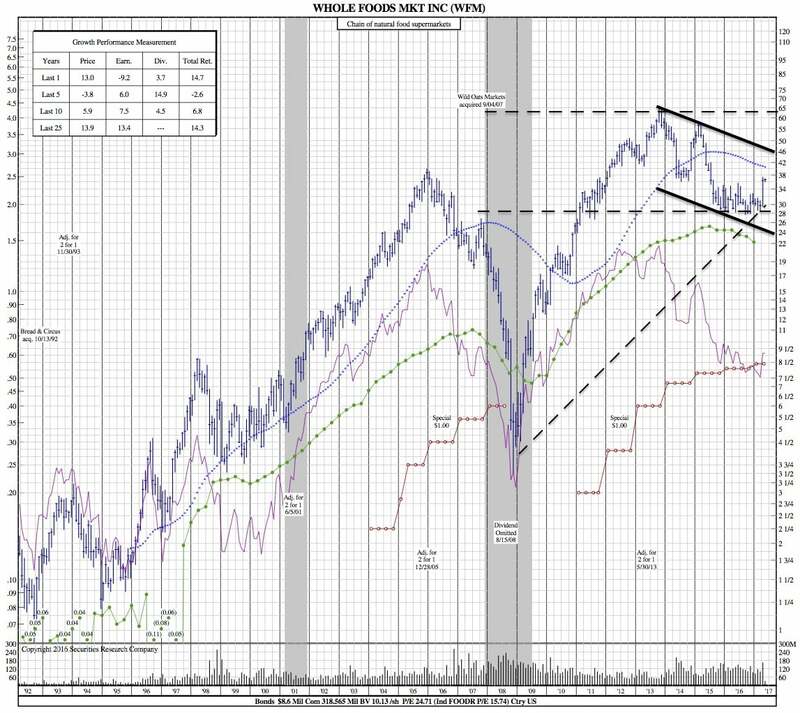 The competitive environment has put downward pressure on prices and hurt margins. This all comes as food deflation is exacerbating an already difficult landscape.